Norway’s foreign minister will visit Sri Lanka this week in a bid to re-establish political contact, his office said Tuesday, almost 10 years after Oslo failed in a bid to mediate in the island’s civil war. 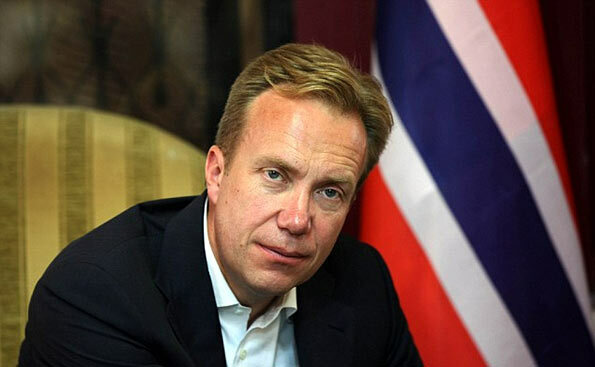 Borge Brende’s visit, which begins Thursday, will be the first by a Norwegian minister to Sri Lanka since 2006, the foreign ministry said in a statement. In the early 2000s, Norway mediated between the Sri Lankan government and the separatist Liberation Tigers of Tamil Eelam (LTTE), but a 2002 ceasefire didn’t last. Then President Mahinda Rajapaksa, who was in power from 2005 to 2015, had questioned Norway’s neutrality and quashed the LTTE in 2009 during a major military offensive that brought an end to 37 years of fighting. Rajapaksa last year failed to win a third term and handed over power to Maithripala Sirisena, who has vowed to work toward reconciliation and investigate crimes committed by the army during the military campaign run by his predecessor. During his visit, Brende is scheduled to meet with Sirisena, Prime Minister Ranil Wickremesinghe, Foreign Minister Mangala Samaraweera and the new opposition leader, Tamil lawmaker Rajavarothiam Sampanthan, AFP reports. Please don’t trust these Norwegian bastards. Before entertaining the Norwegians one need to understand their foreign policy, The Norwegians ran the IBRD in the late 80’s and the project ended without any significant achievements before they got involved as a peace mediator not how they did was it was not clear. We have no experience with the whites as colonial masters starting with the Portuguese the dutch and finally the British. The british left us with a constitution and many of the politicians had a clue as to what it was all about but the plutocrats then accepted it with grace along with the mace. The government should understand what the Norwegian foreign policy is the most recent controversy was the refusal to honor the Dalai Lama simply becuase the Norwegians wanted maintain the good will of the Chinese. If they come to sri lanka to study human rights thereby stoking problems associated then they ought to told to go back. If for economic reasons then they ought to evaluate theri IBRD project and report as to why they failed or develop a network to provide safe drinking wter in the dryzone in the north and the south.